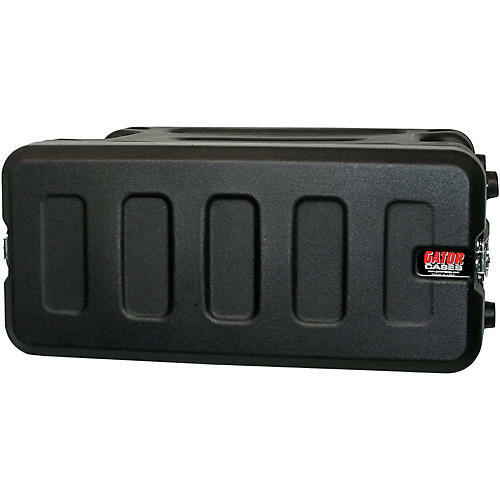 The Gator G-Pro Roto Mold Rack Case is an ideal choice to give your rackmountable music gear the ultimate protection during and between gigs. The cases' roto-molded polythylene design makes these Gator cases virtually indestructible. The front and rear have removable lids that are kept in place by recessed Penn Elcom twist latches. The rest of the Gator G-Pro case is fastened together with heat-treated 10/32 screws and protective washers. Molded-in, ergonomic side screws make it easy to move your music gear around. When you get to your destination, the Gator G-Pro Roto Mold Rack Case is conveniently stackable with other Gator cases.